So it was my birthday this past weekend and I turned 19! Some of my family came to visit Courtney and I in London! It was good to see them. I can't believe that I am 19, its quite surreal because this is the last year that I will be the teens! Time flys! This weekend I decided to purchase a Tweed coat from Zara that I had kept my eye on for quite some time. It was on sale which made it even better. I decided to make a post about how to style different Tweed Coats and give a few example of different coats as well. This is the Tweed coat that I had gotten. It has a really nice length and detail to it. I like the stitching in the back, the vertical lines elongate your figure and will make you look taller. I think the colour is really nice as well, it is a mixture of red, blue and black. There are little details such as the buttons on the shoulders that make it that much nicer. I really enjoy this coat and cannot wait to wear it! Colour, colour, colour. Don't be afraid to wear colour! It is a bold statement piece, but you can tame the outfit down so it does not look so dressed up. It can brighten up a bad day! 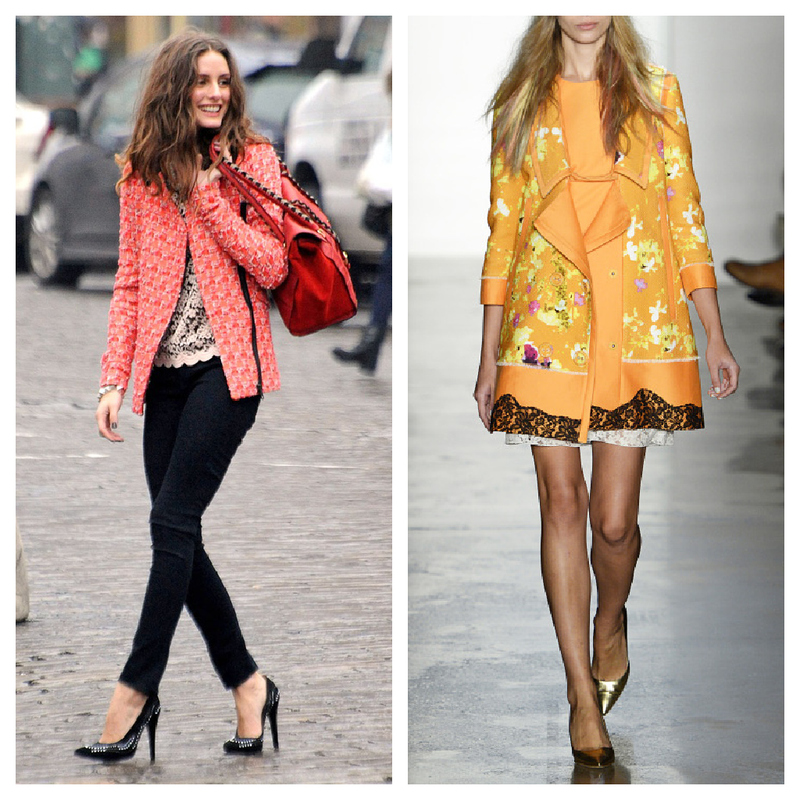 For a casual look, you can pair a colourful tweed jacket with neutral colours and basic clothing items. A pair of good jeans and a white t-shirt will match with pretty much any coat you add to it! As for shoes, you can wear plain loafers, flats, sandals or heels! I think this option is for a person who loves to look feminine! I absolutely want to purchase another coat in a bold colour! Another way to style a tweed coat is with leather! Leather leggings or pants can toughen up a tweed jacket. This look can mix edgy and sophistication. Pairing the pants or leggings with black shoes can lengthen your legs because of the continuation of the same colour, black. Black is a also a very sliming colour! Lastly, you can pair a tweed jacket with shorts! This is ideal for warm weather or pairing the outfit with stockings can make it cold weather appropriate.This is a simple outfit as you can wear it with a white tee. I like this outfit because it's easy to put together in the morning! In terms of shoes, you can wear sandals, loafers, heels or boots, this outfit is that versatile!